Rami Cassis is the Chairman of Parseq where he sets the strategy and vision for the business. He’s responsible for the exponential growth of Parseq having led the company’s formation (then known as Documetric) following an MBO of the Atos Origin payment processing division. He also leads Parabellum, the General Partner which oversees Parseq and other fund companies. 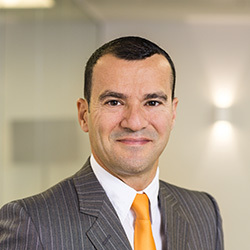 Under Rami’s leadership, Parseq was awarded numerous accolades by Fast Track which were published in the Sunday Times including Profit Track 100, Buyout Track 100 and Technology Track 100. Prior to this, he was the MD of Atos Origin’s Business Process Outsourcing unit and principal adviser to the government and private sectors at KPMG. He was also an Operations and Business Director for Schlumberger in numerous positions across the Middle East, Central Africa and Asia for over nine years. Craig has been the Managing Director since 2013. With over 19 years’ experience in Business Process Outsourcing (BPO), Finance & Administration and offshore back office processing, he possesses an exceptional track record of developing tailored client solutions to achieve key business objectives. 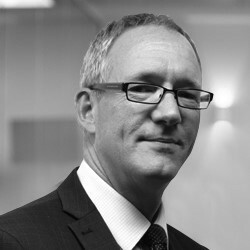 Over the past eight years Craig has achieved year on year growth and secured 36 new clients. He’s executed learning and development programmes throughout the organisation and is a strong believer of investing in talent to drive growth. Parseq’s seen a dramatic shift in staff satisfaction, evidenced by an average employee length of service of 10 years. Craig has a wealth of knowledge across client operations, services and sales where he manages several key accounts and was previously Client Services Director when he joined Parseq in 2011. He’s well versed in continuous improvement, lean operations and Six Sigma to increase operational efficiency and his strong people focus underpins successful client delivery. In 2018 Craig raised £4,615 for Bluebell Wood Children’s Hospice by taking up a 50K walking challenge. 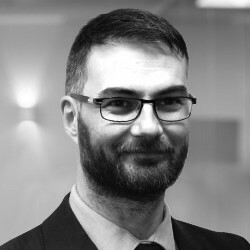 Rob is responsible for financial reporting and commercial oversight for the Group, and manages Parseq’s key stakeholder relationships with the auditors, banks and insurers. 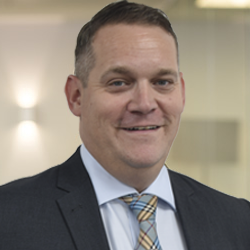 Rob has 13 years’ accountancy experience in financial reporting and commercial roles initially gained in private practice with PwC and a leading independent firm. Prior to this Rob was part of the Royal Mail’s internal function specialising in restructures, projects and operations and supported the IPO in 2013. Rob joined Parseq in 2014 as Group Financial Controller taking a lead financial and legal role in the businesses acquisitions and restructuring. Rob has undertaken the role of Group Finance Director since 2015. 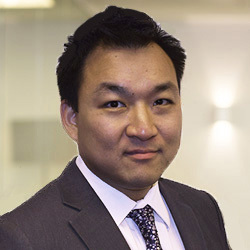 Alan has over 13 years of combined legal and commercial experience gained in private practice and in-house roles. Since joining Parseq in 2016, he’s been responsible for the implementation of legal process and governance across the group. Previously Alan was the Head of Legal for the international brand deployment division for Communisis plc; a London Stock Exchange listed company. Seven years of his private practice career were spent with international law firm Pinsent Masons as part of their corporate team. Alan has been involved in numerous flotations, acquisitions, disposals, joint ventures and the successful management of complex client relationships. Jenny is responsible for the operational teams at Parseq and is focused on achieving the successful delivery of business and client objectives. Jenny joined Parseq in 2013 and brought 28 years’ experience in Business Process Outsourcing ( BPO) and offshore back office processing. She’s a proven leader and engager of people and clients. Her wealth of knowledge across digital mailroom, accounts payable, fulfilment and payment processing is vast. Jenny started at Parseq as a team manager and quickly progressed to an operations manager. She’s now responsible for over 150 people across the entire operation. She is well versed in continuous improvement, lean operations and Six Sigma to increase operational efficiency for clients. Clair began her finance career at Deloitte where she completed her Chartered Accountancy qualification whilst gaining experience in audit and advisory services. 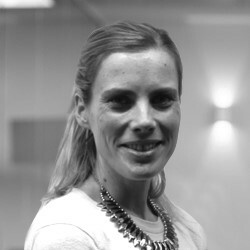 Clair joined Parseq over five years ago and has worked in various roles across the finance department. 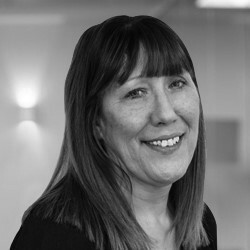 Clair specialises in the more commercial side of finance and has been involved in a wide range of new business tenders and complex business modelling. As the Head of Finance at Parseq, Clair has a great understanding of the commercial complexities associated with the services we deliver to our clients. Harvey is Head of Client & Business Development with an impressive record in account management, business growth and service delivery. He has over 30 years’ experience in Business Process Outsourcing (BPO) working with leading blue-chip organisations across financial services, utilities, telecoms and other public and private sector vertical markets. Harvey understands and translates client requirements into actionable outputs by providing a consultancy approach that ensures effective implementation and transfer across a range of outsourced services. A personal, hands-on approach to account leadership has ensured sustainable and profitable client partnerships and relationships built on strong governance and clear strategy. An experienced leader with a highly analytical and innovative approach to account ownership, which has initiated significant commercial growth and customer satisfaction. James is responsible for the scope, design, build and implementation of solutions for clients. He has over 15 years’ experience within Business Process Outsource (BPO) services. He translates strategy into effect through innovation in a range of sectors including financial, utilities, not for profit, legal, telecoms, local and central government. James has an in-depth understanding and application of enhanced automation, machine learning and artificial intelligence. He works with multiple clients through a consultancy approach to develop the right bespoke solution for their business needs. He leads the projects, IT and solutions teams at Parseq which ensures a seamless transition to improved services for new and existing clients. He is also a winner of the National Outsourcing Award for Innovation of the Year 2014.